Anvay Pharma Systems Pvt. Ltd. is one of the leading manufacturers and exporter of Tablet Granulation Section, Ointment Cream Section, Liquid Oral Section, Capsule Section. Anvay Pharma Systems Pvt. 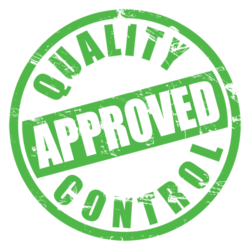 Ltd. today has complete infrastructure equipment that is energy-efficient and reliable with high performance levels while being compliant, at the same time, to cGMP (current Good Manufacturing Practice) and various regulatory requirements. We are backed by the strong foundation of our profound infrastructure. Our factory is well equipped with machine shop, fabrication shop, assembly section, buffing& polishing section. We, at Anvay Pharma Systems Pvt. Ltd., own a voluminous warehouse to facilitate bulk orders. To meet the requirements of international standards we make sure that we have in place all the latest technology so that our clients get standardized products. To avoid any glitches in the production process we take all the necessary measures to prevent wastage and rejection. We are functioning with the help of a highly efficient team that includes both experienced and talented professionals. Our employees are recruited only after conducting rigorous assessment of their skills and knowledge. Holding expertise in their respective domains, these employees quickly understands various processes carried in the organization. Working in different departments, our professionals mutually coordinate among themselves for ensuring the timely completion of the projects. At ANVAY PHARMA SYSTEMS, quality of products & people and satisfaction at all levels of business including response to the customer is synonym to the very existence. We will also meet customer needs ;on timely delivery and satisfaction by continuously applying the best possible business processes and techniques. The special efforts will be taken to create the harmony & communication among the different working people to produce the best results and quality of the machine. We have grabbed a powerful position in this domain with our infrastructure base. Our infrastructure has been segmented into many departments. In addition to this, we have the latest technology based quality testing devices that are used to check raw material and finished products. All the departments work in close coordination with each other to achieving higher efficiency. Owing to these reasons, we have been able to complete the large consignments within a stipulated time frame to attain complete satisfaction.